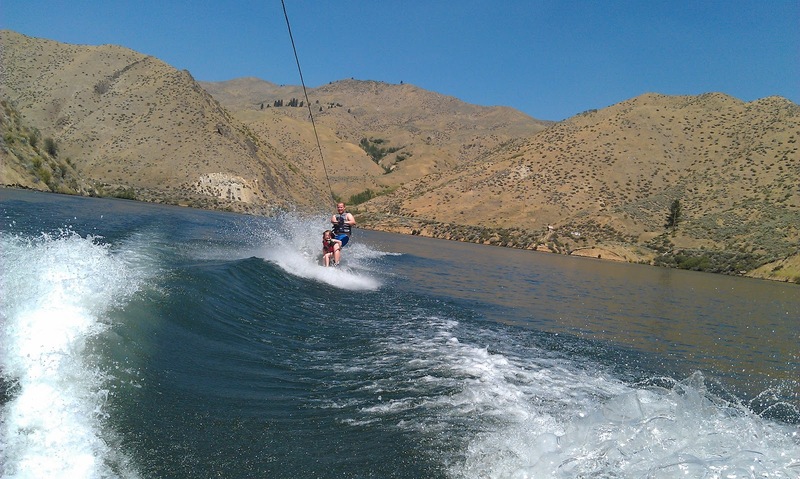 It was so fun to get out on the lake in Boise this summer with friends! 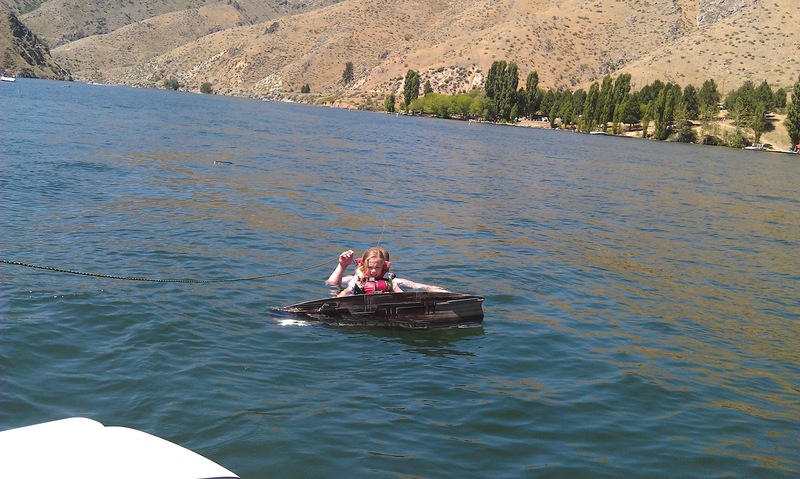 After a lot of bribing Abby got out there and wake boarded with our friend Paul. She was super nervous but loved it. 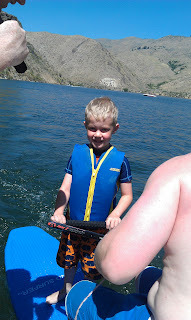 Michael was was too nervous to try the wake board but he did go out and stand on the surf board. It was such a great morning!